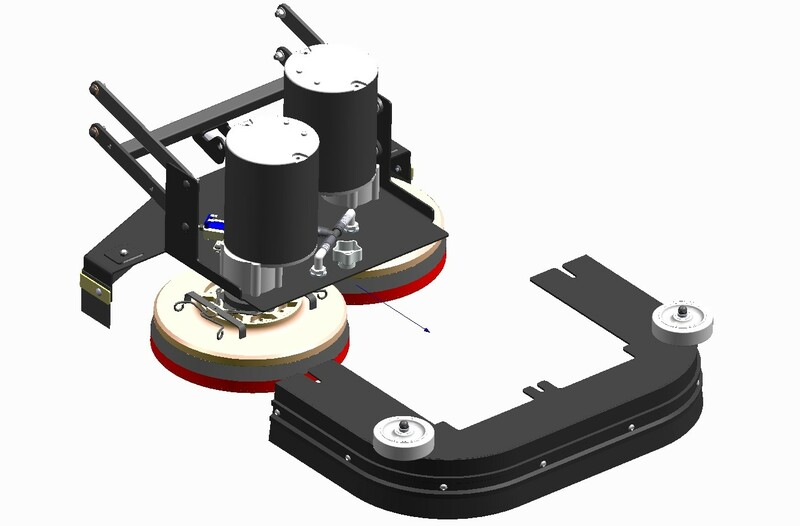 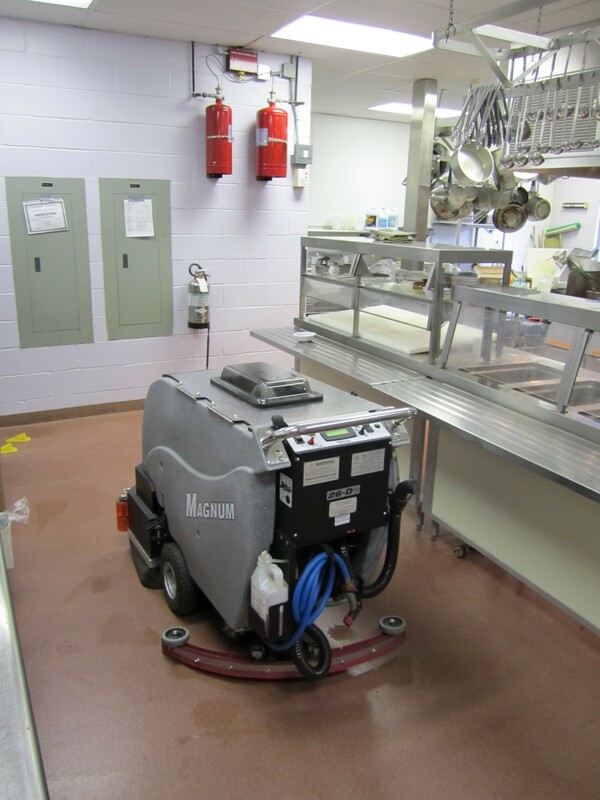 CADD Line Drawing of our 26 Inch Disk Desk for our Floor Scrubbers. 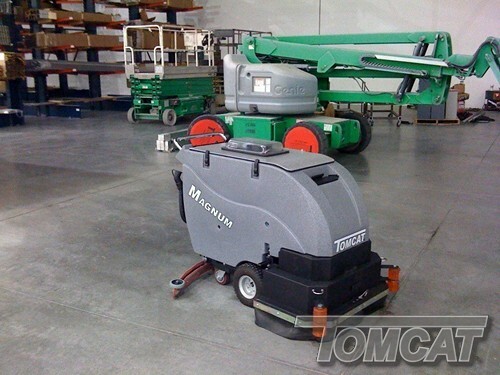 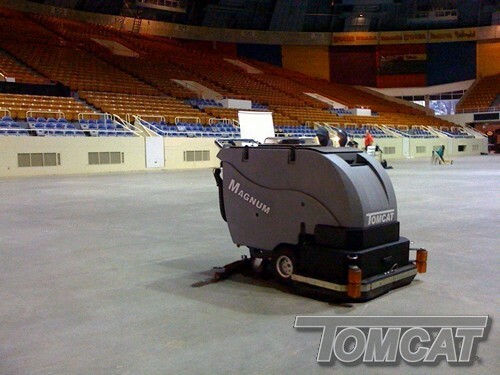 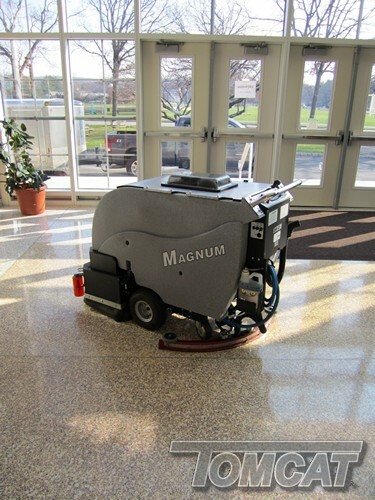 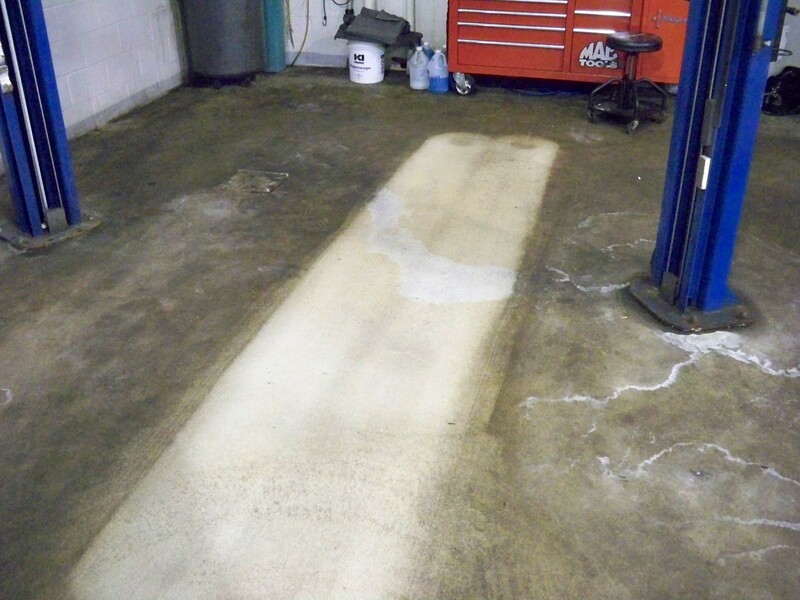 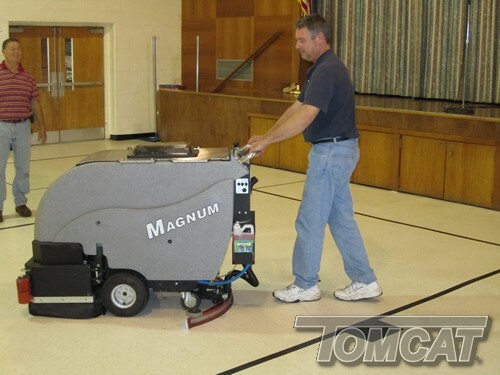 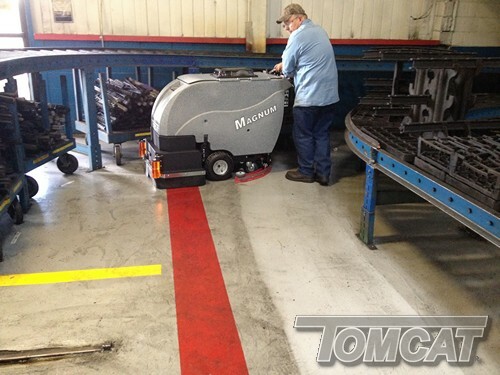 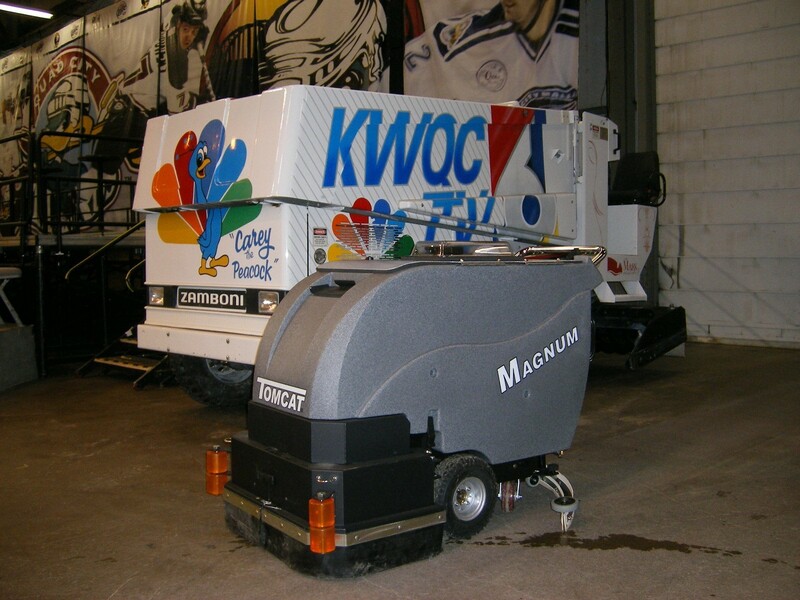 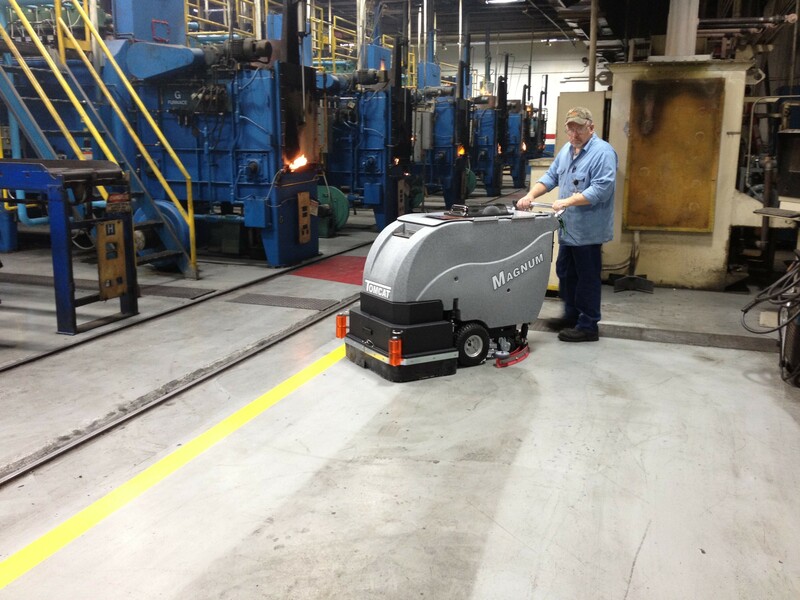 This special tank designed Magnum Floor Scrubber really shows how to get a floor clean! 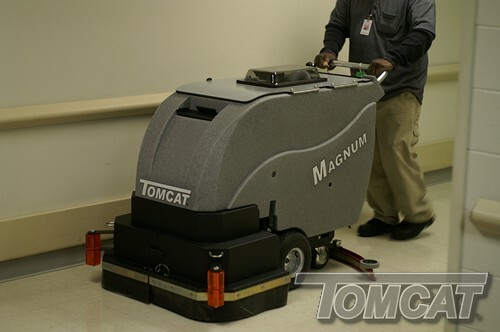 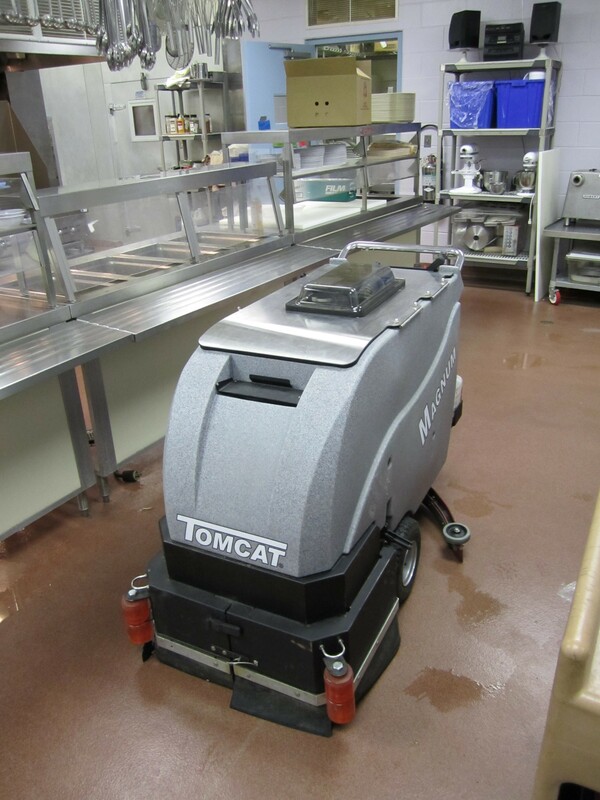 Tomcat Cleaning Equipment is viable in almost any application in the commercial industry, but kitchens is especially one of them. 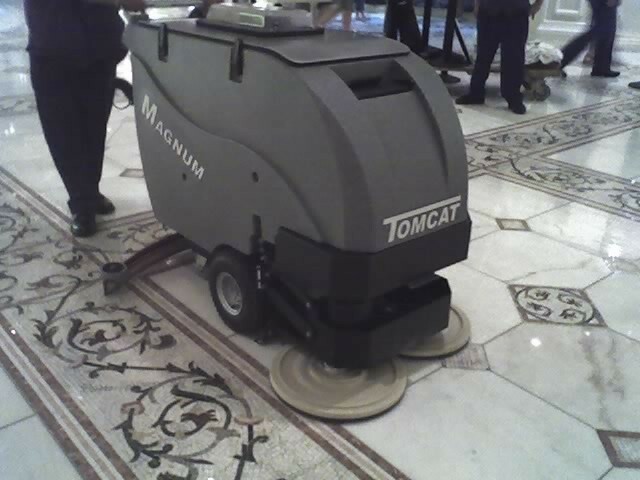 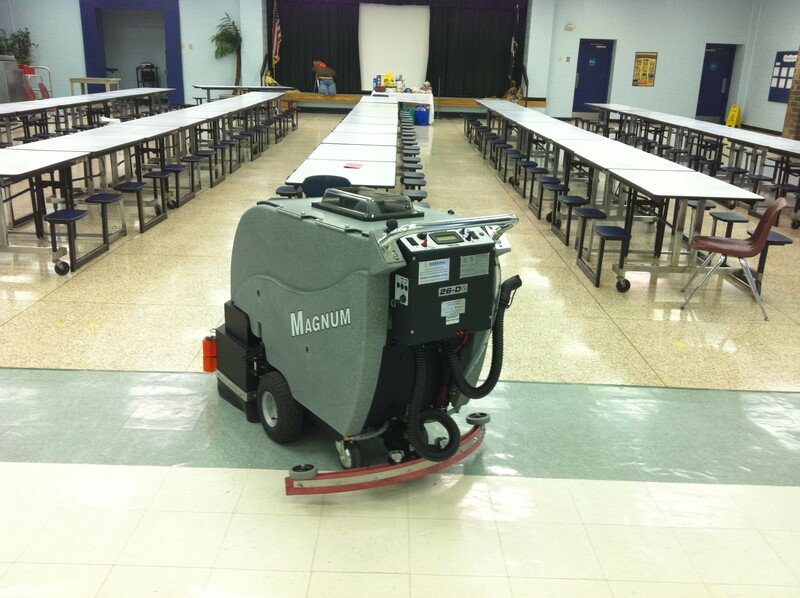 Here you can see a Magnum Floor Scrubber Stone Polishing Marble floors. Even TV Stations use our products! 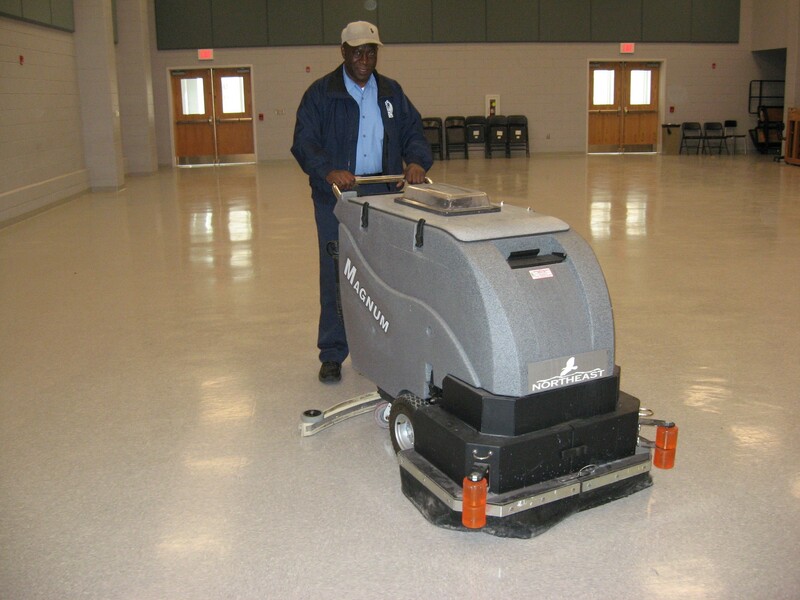 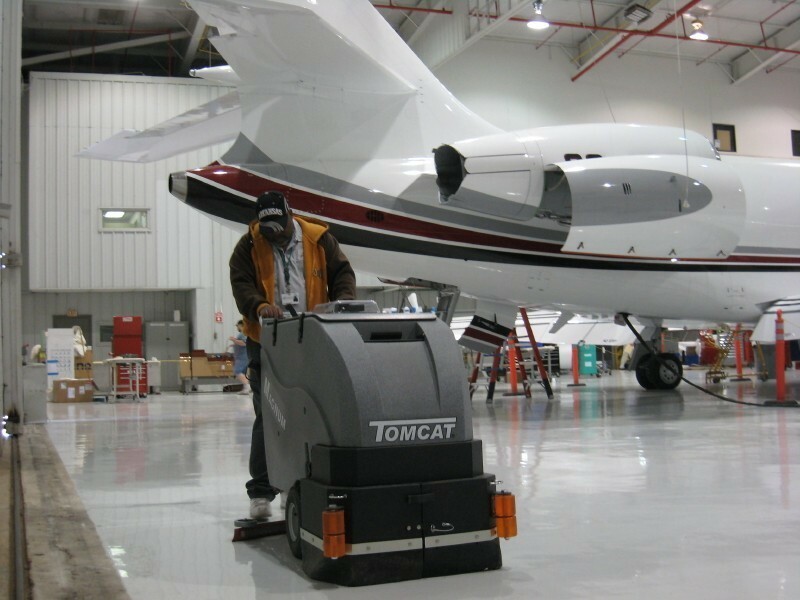 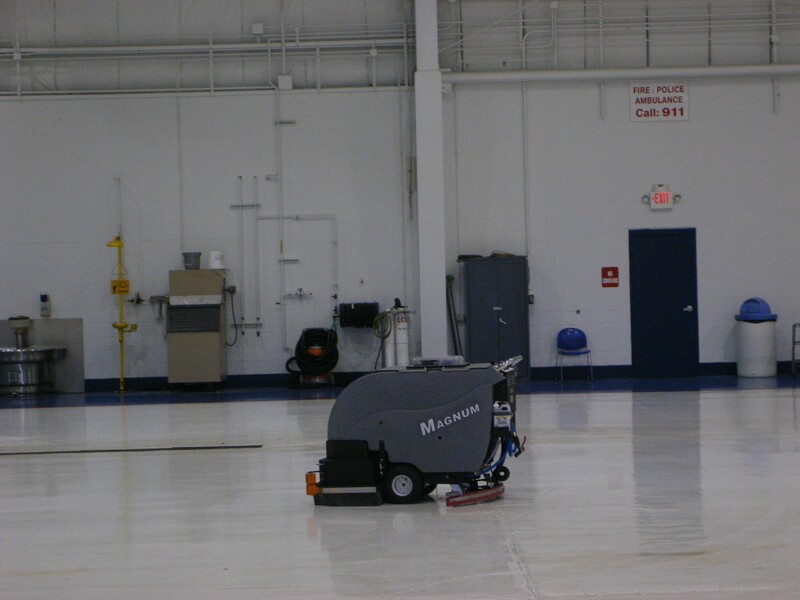 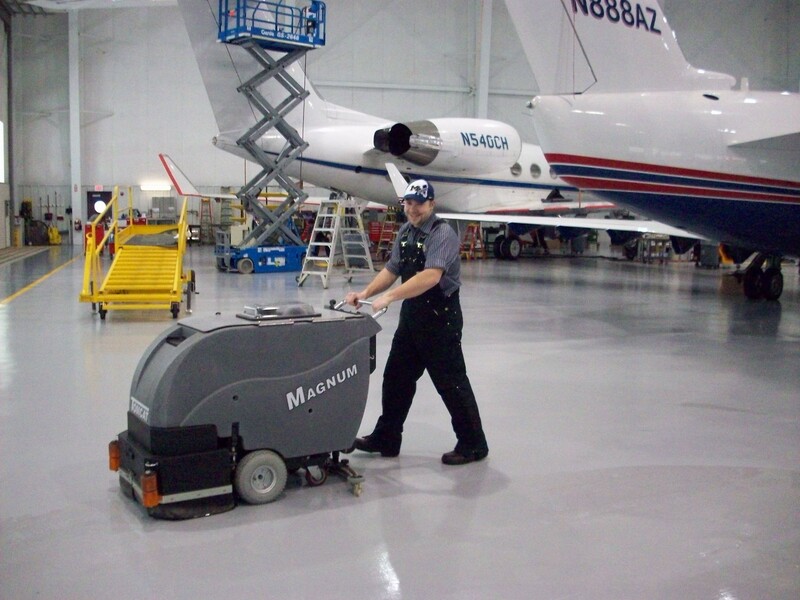 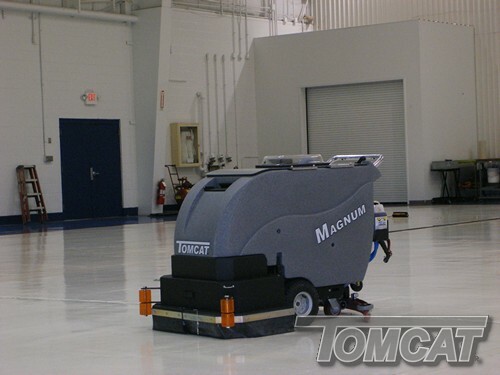 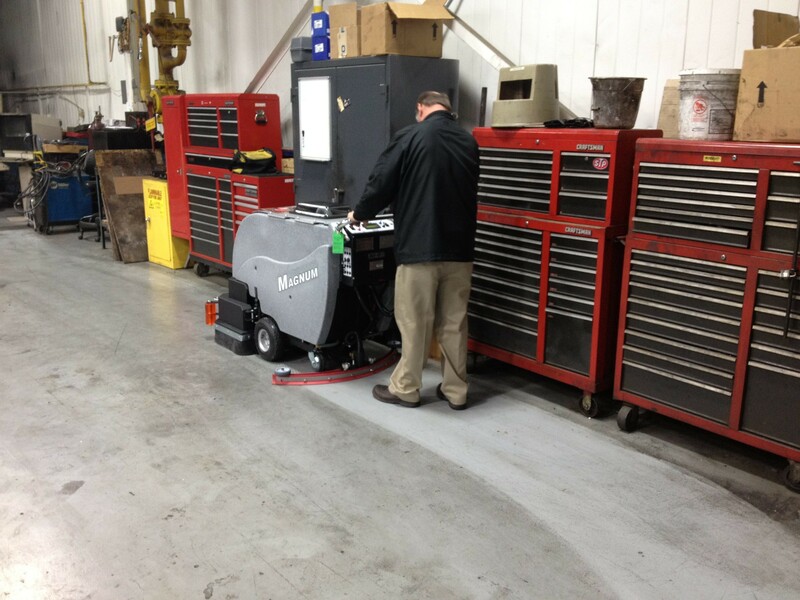 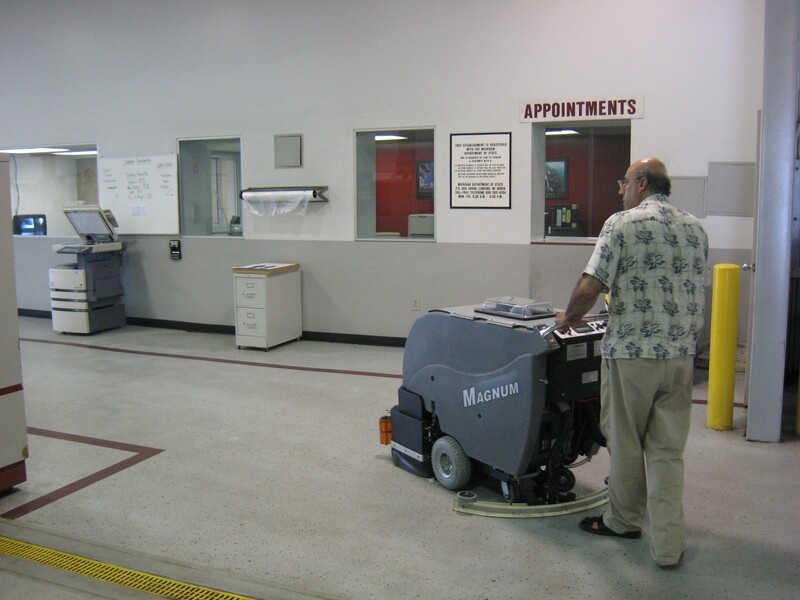 Magnum Floor Scrubbers are great machines when it comes to needing the floor perfectly clean around delicate parts such as airplane engines. 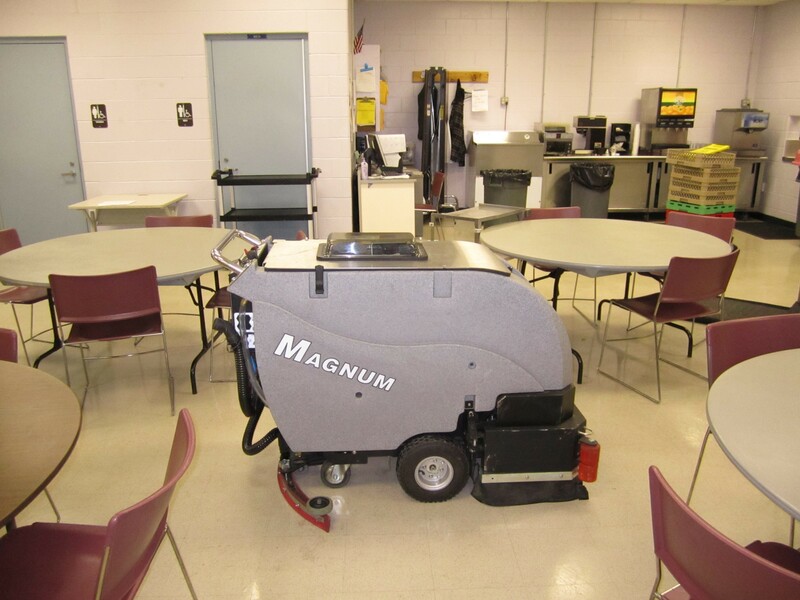 Magnum Floor Machines are conveinient in the fact that they are easy to manuever even in a congested room such as this break room. You can clearly see here how nice and clean that floor is underneath all the dirt the Magnum Floor Scrubber is scrubbing off. 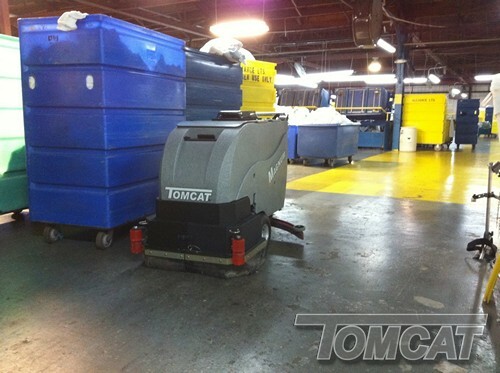 These Walk-Behind Scrubbers are tough machines as you can clearly see here. 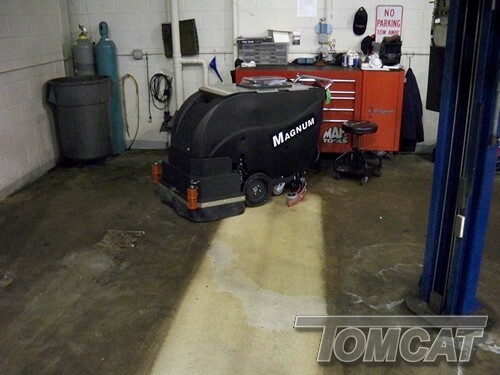 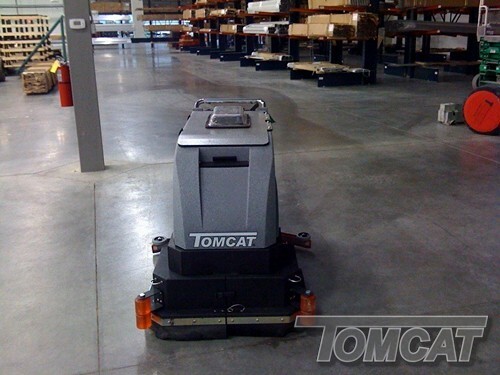 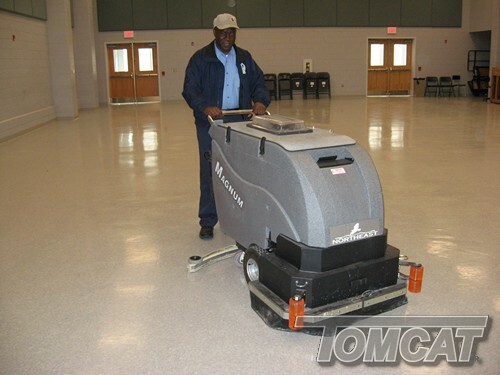 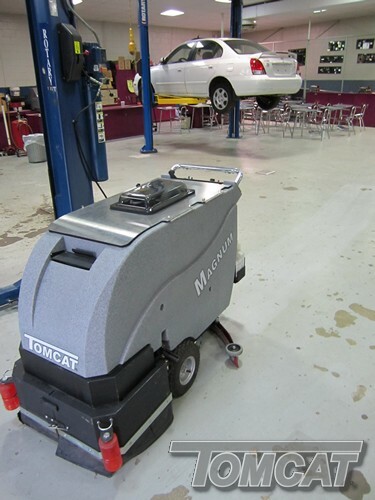 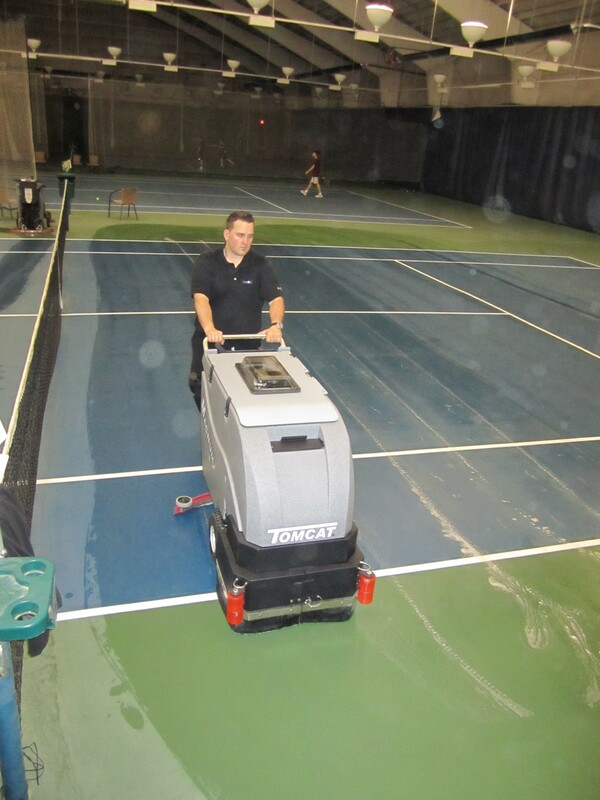 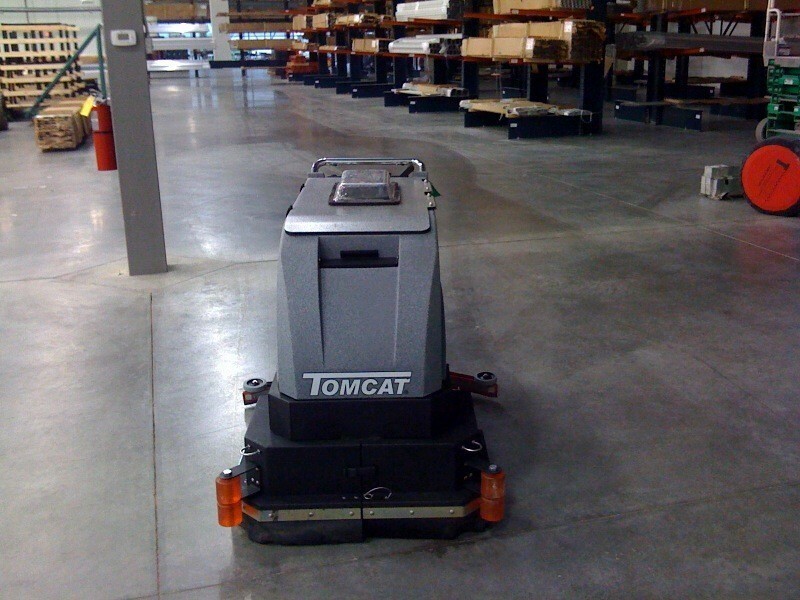 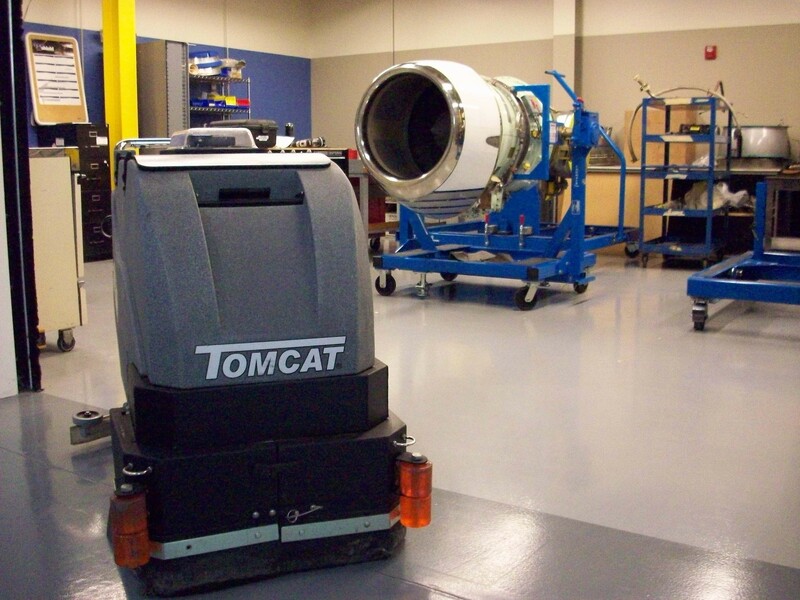 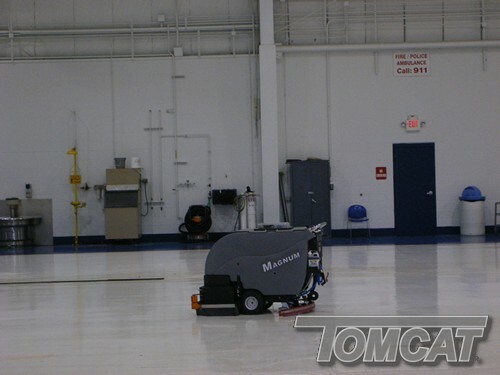 Near perfect white floors following where our machines pass over is just one of the many benifits of Tomcat Floor Equipment!